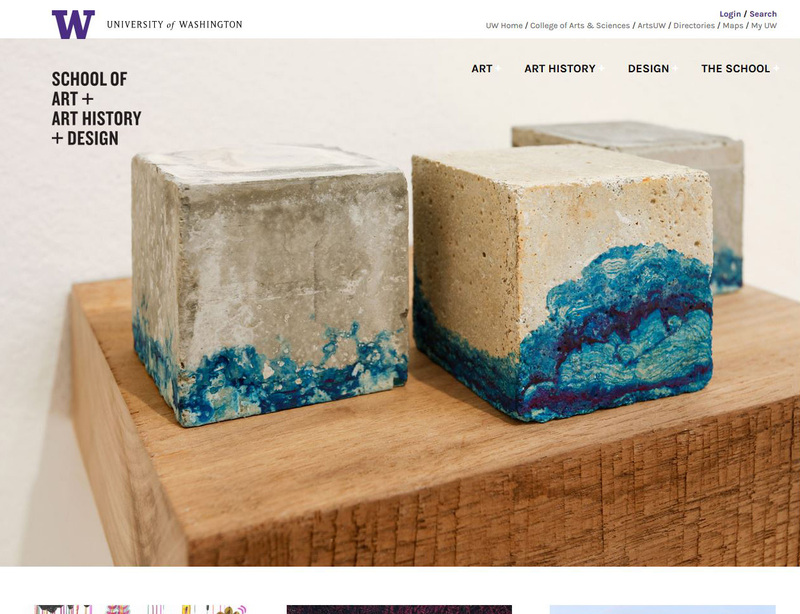 UW School of Art + Art History + Design | Heather Wozniak, Ph.D. The 26th site to launch in our series of Department Web Framework sites at the University of Washington College of Arts and Sciences. We partnered with faculty from the School to create a unique visual design, but the site relies on the same backend as other framework sites. I provided project management, information design, content migration, and site configuration, while another developer handled the theme and front-end development.